Brandon Crumbie picked up his first career OSCAAR Hot Rod Series heat victory driving Jeremy McLean’s No. 88 entry ahead of Shaun McWhirter (driving for Douglas Fischer), Charlie Sandercock (driving for Dan Price), Tyler Hawn, Steve Mayhew, and Brad Martin. Norm Mayhew scored his second heat win of the season ahead of Steve Book, Paul Senior, Art Rodgers, Adrian Foster (driving for Lance Foster), and Nick Clarke. The feature would start out messy, unfortunately, as a car spinning off of turn four would collect several cars, ending the event early for a couple in the process. 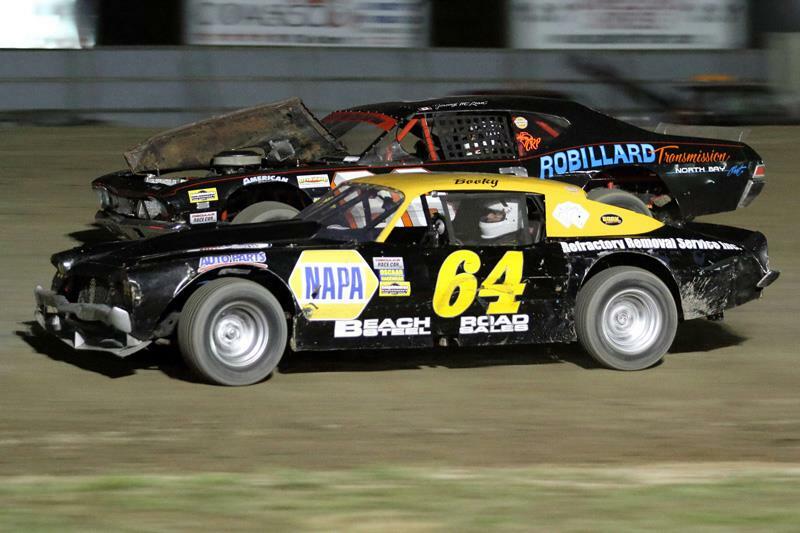 Brandon Crumbie would break out to the early lead and was set to cruise to victory. However, the second half of the race saw Steve Book find his groove, and that’s all it took as he found his way to the front, passing Crumbie, leading the rest of the way to the checkered. For Steve Book, the win marks his first in the OSCAAR Hot Rod Series, but also his fifth top-five of the season as he has consistently improved since the first race of 2018. Brandon Crumbie finished second in his series debut, with Paul Senior in third for a career-best despite heavy right side damage from the early incident. Adrian Foster placed fourth for his second top-five of 2018, with Nick Clarke rounding out the top-five. Notably, this marks Clarke’s first top-five of 2018 despite winning two races last season. 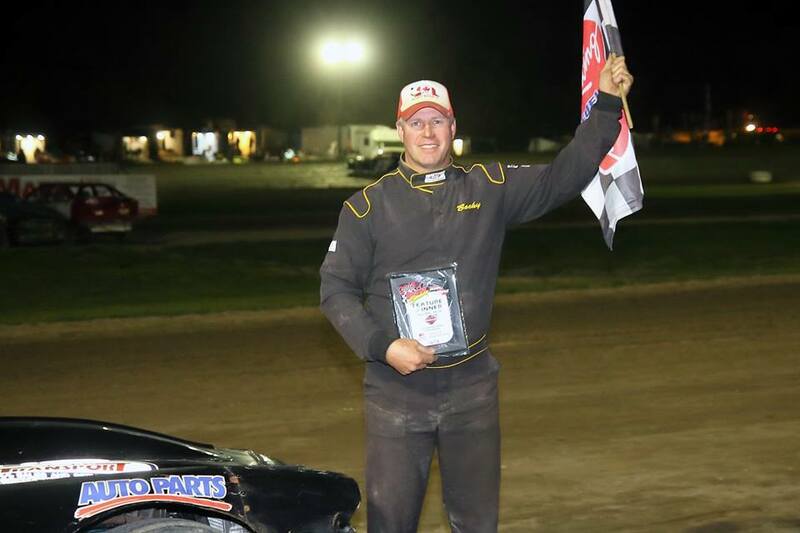 Art Rodgers finished sixth for a season-best performance, followed by Tyler Hawn in seventh with his eighth top-10 of 2018. Charlie Sandercock suffered a broken shock mount en route to placing eighth ahead of Norm Mayhew and Steve Mayhew. Douglas Fischer and Brad Martin rounded out the field. Race Report by Ashley McCubbin / Photos by Rod Henderson of CanadianRacer.com.